In a TED Talk type format, our presenters will share ten-minute talks on the following topics followed by a period of Q&A. Described as a “supremely nuanced” (Gramophone), “remarkable baritone” (Opera News), Chris Thompson is an international artist noted for compelling performances on stage and in the concert hall. 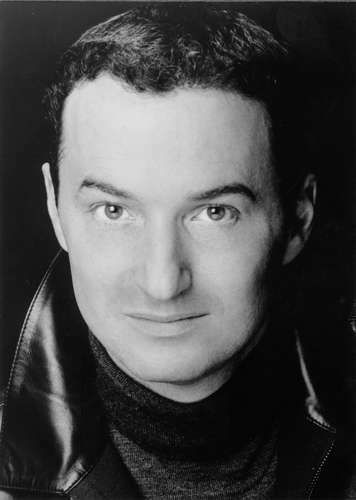 He has performed leading lyric baritone roles ranging from Figaro in Il Barbiere di Siviglia to the title role in Elijah to Carl Magnus in A Little Night Music. A frequent recitalist, Chris’s numerous performances of Schubert’s Winterreise with acclaimed concert pianist Steven Spooner, have generated excitement throughout the country. A strong advocate of new music, Chris made his Carnegie Hall debut singing Posh, a song cycle by composer Mohammed Fairouz. The premiere performance of MSU colleague Michael F. Murray’s song cycle, Neutral Tones, at the Parma New Music Festival was received enthusiastically. Chris has appeared in several world premieres including Guest from the Future (Lincoln Center), The Scrimshaw Violin (92nd Street Y), Box and Cox (University of Utah) and Hester Prynne at Death (Mercantile Library, NYC). In addition, Chris made his Off-Broadway debut in Fermat’s Last Tango. His performances have been featured on recording labels such as: Naxos, Original Cast Recordings, Albany Records, Koch-Schwann, and Novana Records. Chris is a graduate of the University of Kansas, the Guildhall School of Music and Drama (London), Loyola University (New Orleans), and Kansas State University. Chris is a devoted teacher with successful singers winning competitions, singing at major summer programs, and performing leading roles as young professionals. He presently serves as Coordinator of Vocal Studies at Missouri State University and is past-president of Ozark NATS. Soprano Dr. Liana Valente is recognized both for her outstanding performances of traditional vocal literature and for her exciting presentations of contemporary music. Each year she commissions and premieres new works, collaborating with established and emerging composers from across the globe, presenting their compositions throughout the US and Canada. For younger composers Valente serves as a vocal expert and mentor; for established composers, she is a champion of their work. Valente presents frequently at College Music Society, Music Teachers National Association, National Federation of Music Clubs, and Sigma Alpha Iota national and regional conferences. She has presented internationally, most recently at The Phenomenon of Singing International Symposium VIII held in Newfoundland, Canada. Presentation topics have included the collaborative process, music of contemporary women composers, advanced vocal techniques, sight-singing in the piano studio, and lecture recitals highlighting music she has commissioned. Valente is assistant professor and classical voice area coordinator at Howard University. Andrew R. White, BM, MM, AD, DMA, teaches at the University of Nebraska Kearney. Previous faculty positions include Indiana University of Pennsylvania, University of Akron, Hiram College, Lake Erie College, Baldwin-Wallace College Conservatory of Music, and Ashland University. Operatic appearances include Guglielmo in Cosi fan tutte, Endymion in Calisto, and Claudio in Beatrice and Benedict. Gilbert and Sullivan roles include Pirate King in The Pirates of Penzance, Pooh-bah in The Mikado, Grosvenor in Patience, and Lord Chancellor in Iolanthe. Roles in musicals include Herold Hill in The Music Man, Billy Bigalow in Carousel, and Emile de Becque in South Pacific. An advocate of new music, he has performed new works in Boston, Cleveland, New York, San Francisco, and Vancouver. He has a level III certification in Somatic Voiceworktm, the LoVetri Method, and his article “Belting as an Academic Discipline” was published by American Music Teacher in 2011. Dr. Jay White sang eight seasons with the internationally acclaimed ensemble, Chanticleer, appearing in major venues throughout the world and with whom he recorded 14 albums, two of which garnered GRAMMY® Awards. As a clinician on vocal and choral pedagogies, Dr. White has presented at several regional and national gatherings including sessions at the 2009 Voice Symposium, the 2009 Phenomenon of Singing International Symposium, NATS National Conferences, and OMEA (OH) conferences. 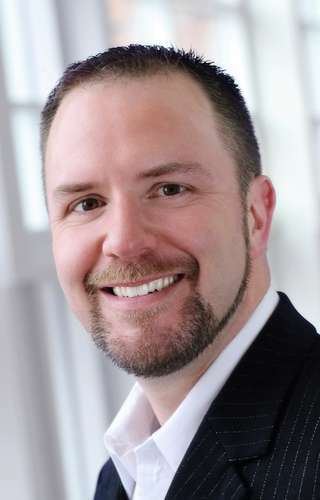 After receiving his training at Indiana University and the University of Maryland, Dr. White has taught at the University of Maryland, the University of Delaware, DePauw University, and is currently an Associate Professor of Voice at Kent State University (OH). At Kent State, Dr. White trains voices in classical and commercial music styles for degrees in Vocal Performance, Music Education, and Music Theatre.